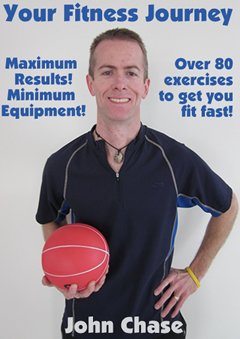 My goal with this blog is to provide you with info that you can use to improve your health and fitness. I get great feedback from my personal training clients and from other members at our fitness center regarding topics for this blog. From that feedback, I’ve written about making you healthier, leaner, stronger, and more energetic. However, the one thing I’m looking for is more feedback from you, my readers. Can I ask for two minutes of your time to give me some feedback? Leave a short comment below to tell me the one thing you would like to know about fitness, weight loss, functional strength, toning, reshaping, eating better, making your workouts more fun and effective, or any other topic on your mind. As seen on TV, the most ridiculous leg machine ever! I just saw this thing on TV called “3 Minute Legs“. Of all the crazy “as seen on TV” contraptions, this one takes the grand prize. For only four easy payments of $33 each, you can have your very own “3 Minute Legs”. For your hard earned cash, you’ll receive a spring loaded seat that you can straddle and push to the floor while doing bodyweight squats or lunges. Squats and lunges are fantastic exercises and should be a part of almost any program. Why you would need this thing to do them is beyond me. Have we really been dumbed down so much that we need this thing when we could just do squats and lunges without it? Not sure about the right form? Watch this video to see the right way to do bodyweight squats and save yourself $122. Their website claims that this thing “even works your core so it flattens your abs as it’s firming your legs.” Other than your core having to hold your body in an upright position, which it does when you’re just walking down the street, I can’t figure out how this thing “works your core”. Can someone please explain this one for me? But, it’s all OK because, according to their website, “3 MINUTE LEGS is so remarkable, it was awarded the prestigious Seal of Approval by the National Health and Wellness Club”. Ever hear of this club? I didn’t think so. Neither have I. Go ahead, check them out on Google. You’ll be taken to a site that has some regurgitated content from other sources and “reviews” of products, several of them coincidentally are from the same company producing this product. While we’re on the topic, three minutes isn’t going to do anything for you with any workout. The only thing you’ll lose on this thing in three minutes is $122. P.S. By the way, Thane USA, your website has a context error. When referring to the supposed science behind this device you say “it uses a principal called unloading”. In this context, it’s a “principle”.